Are you contemplating purchasing a new home but worried about the possibility of an old boiler and central heating system? Eco Efficient can offer a significant help in upgrading the boiler and the central heating. Thus, you no longer need to worry about the possibility of lacking hot water or staying in a cold during the winter. Keep in mind that most boiler servicing companies are usually busy during the winter. Thus, there is a possibility of feeling left when you find yourself in an unfortunate situation of boiler breakdown. However, this isn’t the case for Blackpool residents and any other homeowner who opts to work with Eco Efficient. While some companies will take holidays during the winter or get too busy to serve their clients, our engineers work around the clock to make sure that every homeowner gets uninterrupted supply of hot water and stays in a warm home. At Eco Efficient, we offer our customers a perfect chance to invest in different boiler servicing plans and contracts. With that, all our clients in the United Kingdom can feel covered and protected for all eventualities. Thus, you will never have to worry again about installing, repairing or servicing a boiler or a central heating system. When looking for a reputable company to service your boiler, there is a critical question you should focus on answering. What should you be looking for in a service contract? It’s worth noting that not every individual or company out there claiming to be the best when it comes to boiler servicing can deliver everything they promise. Therefore, it pays to take the time and analyse different service plans, their costs, and the benefits associated with the service plan. This way, you will be able to pick a service that will offer you exactly what you need. Most homeowners want to get the full value of their money from the boiler servicing and other related services they receive. Besides, they want to pay a pocket-friendly price for these services. While different boiler servicing companies provide different boiler servicing plans, you should focus on getting excellent service at the lowest possible price. This is exactly what we offer at Eco Efficient. Despite the excellent quality associated with our services, we charge reasonable prices. Here are other services we provide. Boiler repair: Boilers, just like all other household appliances, may require repair at some point. The more you use your boiler, the some of its parts gets exposed to tear and wear. That means at some point, you will need to replace these parts or repair them. Eco Efficient provides the most reliable and affordable boiler repairs in Blackpool and other regions in the United Kingdom. Boiler installation: If you have just purchased a new home without a boiler, you no longer need to worry about who will install the boiler for you. Eco Efficient boasts of a pool of professional engineers with an outstanding knowledge of boiler installation and servicing. Whether you intend to replace an old boiler or install it for the first time, nothing is too difficult for our engineers. 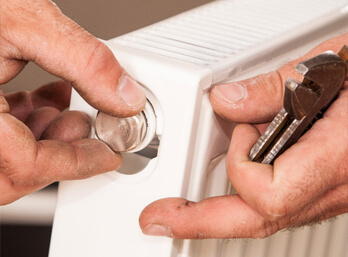 Central heating installation: with our highly trained central heating installation engineers, you can be assured of a properly-installed central heating in your home. These experts will first analyse your general home layout and then determine an excellent location for the central heating. This will ensure that your home is heated evenly and up to the required temperature with minimum heat loss. 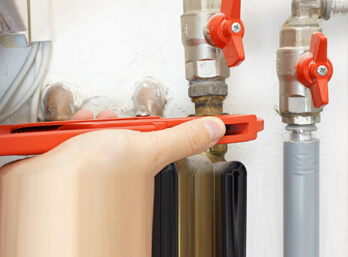 Central heating repair: Just like boilers and other household appliances, central heating systems also suffer breakdowns and require timely repairs. Eco Efficient offers homeowners a chance to make sure that they don’t stay in cold homes. 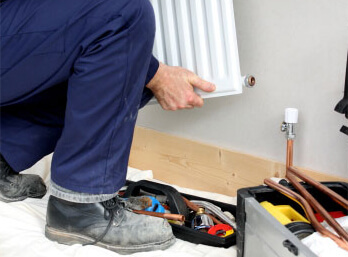 We provide timely central heating repairs and ensure that the system is operating efficiently. Gas and boiler leaks: The last thing any homeowner wants to worry about is a leaky boiler or gas leaks. Faulty boilers are associated with energy loss which increases the monthly heating bills significantly. Additionally, faulty boilers emit carbon monoxide, a tasteless and odourless gas that is highly poisonous when inhaled in large amounts. Gas leaks are also dangerous especially when the gas is exposed to fire. Explosions that may occur can claim not only the lives of your loved ones but also cause significant loss of property. Eco Efficient should be your trusted ally when it comes to handling boiler and central heating installations, repair, and servicing. We have all the necessary resources required to deliver top quality services at affordable rates. Next time you will be in need of boiler and central heating installation, repair, and servicing, contact us.